Why Did Google Just Re-Announce Acquiring DoubleClick? 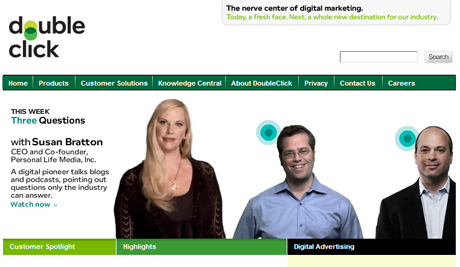 I am pleased to share the news that Google has acquired DoubleClick. Please go here to read Eric Schmidt’s blog post. But there is an article from March 11, 2008 – yes, that’s right, 2008 – where Eric Schmidt, Google’s CEO, announced Google acquiring DoubleClick. So what’s up with the blog post today on DoubleClick’s blog about Google officially acquiring DoubleClick. Anyone care to add some insight…?